IT WAS SOMEWHERE AROUND the year 270 AD when Denis, a Christian missionary and Bishop of Paris, was martyred on the hill we now call Montmartre. Denis was beheaded during the period of Christian persecution under the Roman Emperors Decimus and Valerian. It is said that after his head was chopped off, Denis picked it up and walked six miles or so preaching a sermon as he went. 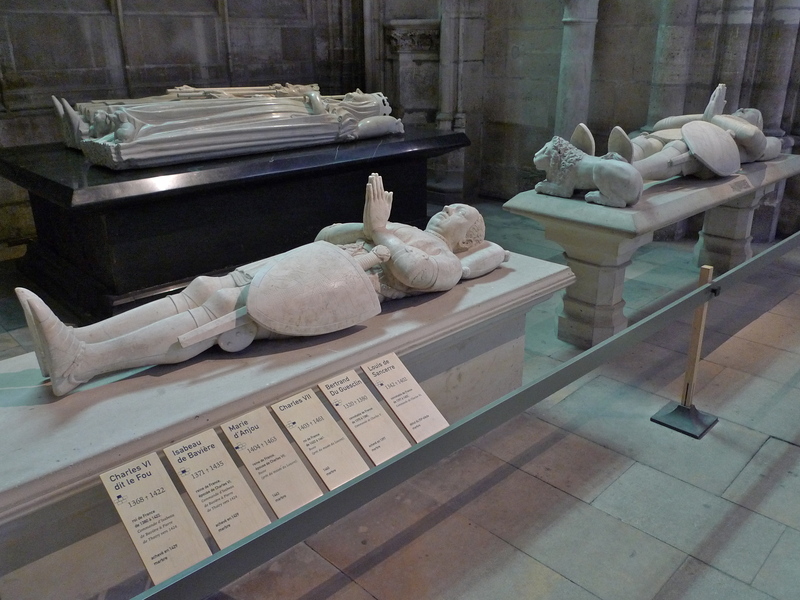 The place where he eventually fell and died was marked by a small shrine which eventually became the Basilique Saint-Denis and the burial place of the Kings of France. 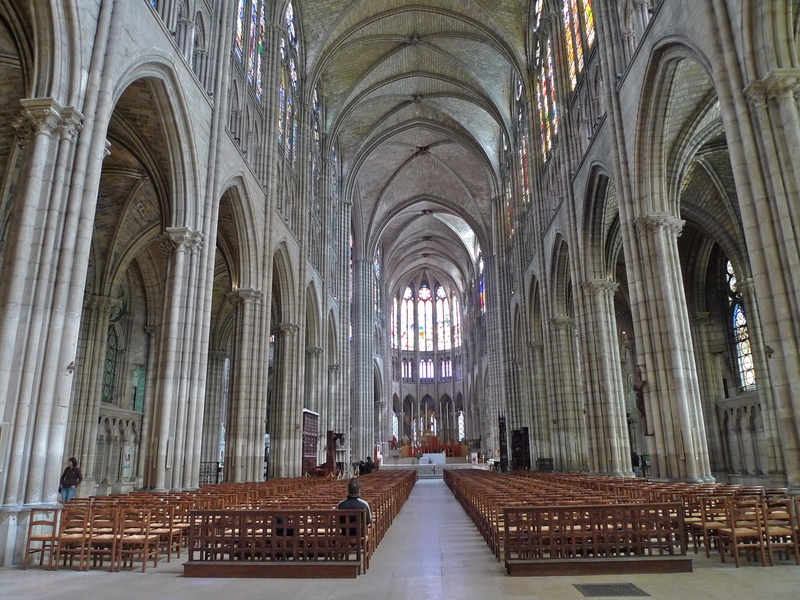 The Basilique Saint-Denis is a medieval abbey church in Saint-Denis, a northern suburb of Paris. 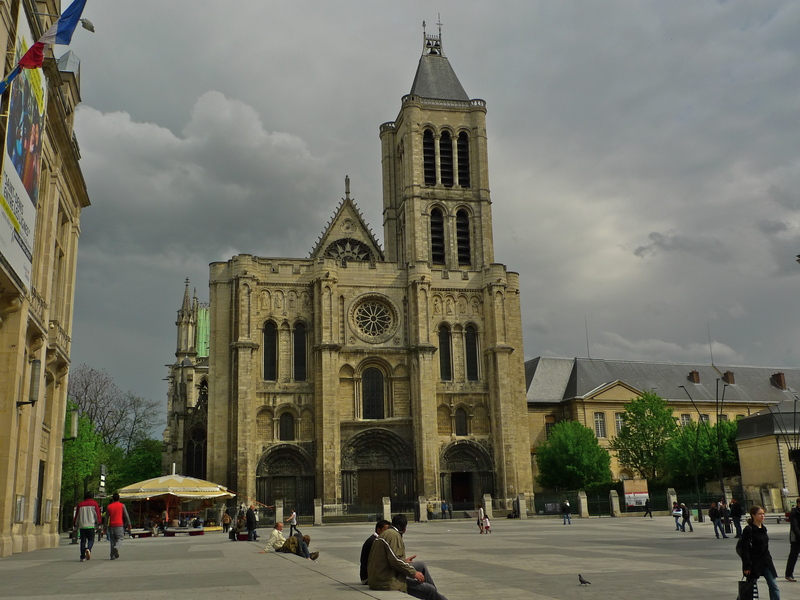 The abbey church was created a cathedral in 1966 and is the seat of the Bishop of Saint-Denis. The building is of unique importance historically and architecturally. In Roman times the site was a Gallo-Roman cemetery but around 475 Saint-Genevieve purchased some of the land and built a church. This became a place of pilgrimage and in the 7th century, Dagobert I had this church replaced with something grander. By the 12th century it had grown to become one of the most powerful Benedictine abbeys in France. 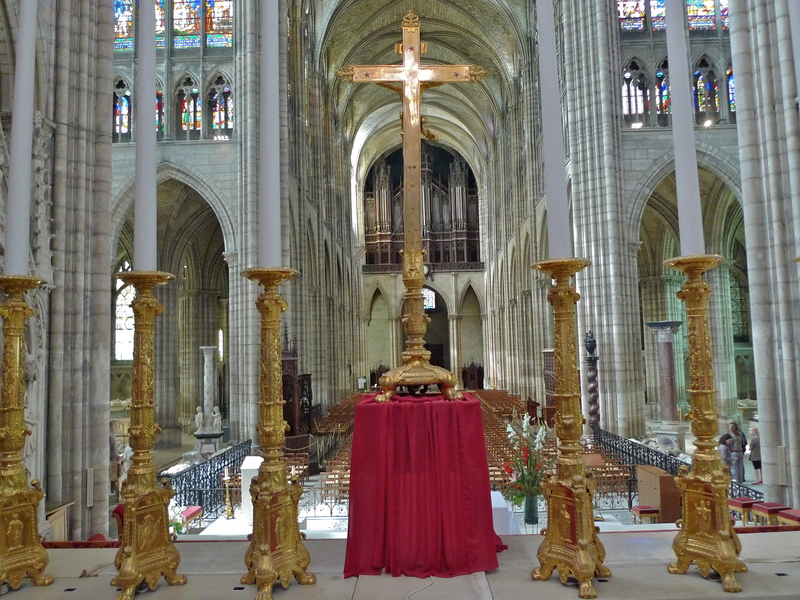 The abbot of Saint-Denis, Suger, rebuilt portions of the abbey church using innovative structural and decorative features turning it into a masterpiece of what came to be known as Gothic art. The basilica provided an architectural model for the cathedrals and abbeys of northern France, England and other countries. 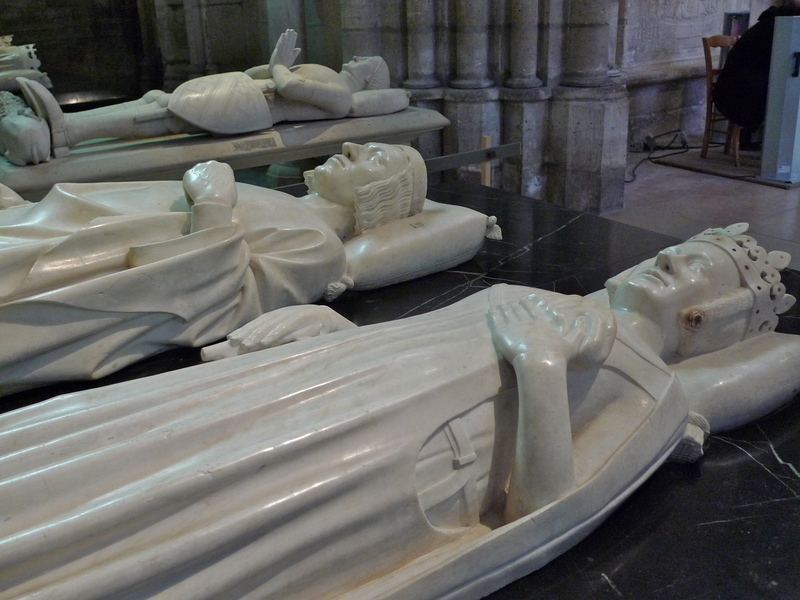 From the 6th century onwards, the Basilique Saint-Denis became the necropolis of French monarchs. 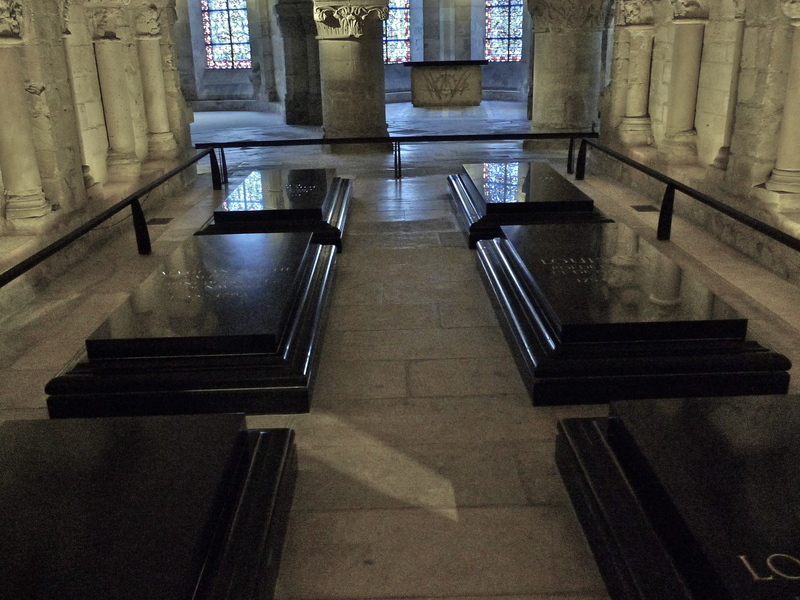 Most of the kings and queens of France were buried here. The list is impressive: 42 kings, 32 queens, 63 princes and princesses and 10 great men of the realm. 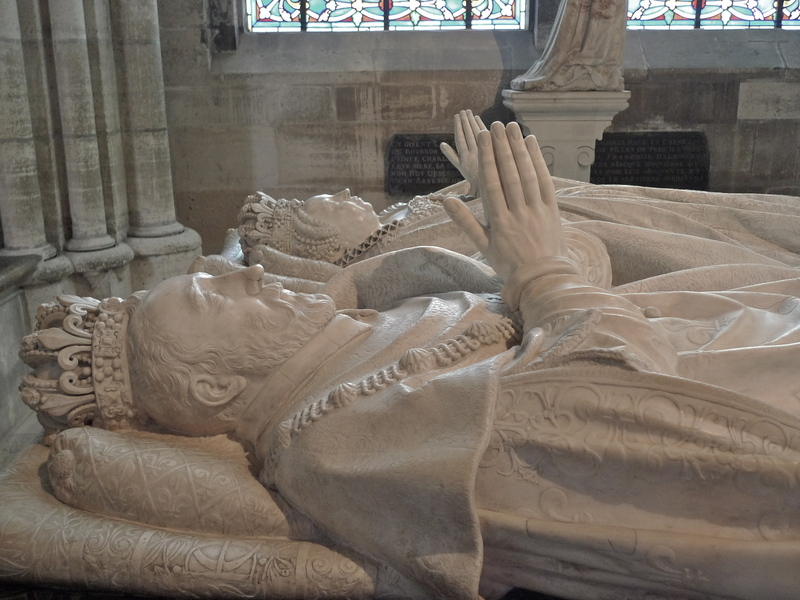 With I think three exceptions, all the French monarchs were buried here from Hugues Capet onwards. Over the years, the Abbey was plunged into decline by wars and the Revolution. During the Revolution the tombs were opened and the bodies were removed and dumped in two large pits nearby and dissolved with lime. In 1806, Napoleon Bonaparte reopened the church and the royal remains were left in their mass graves. Thankfully, most of the tombs survived the Revolution and today they lie resplendently in the much-visited “Royal Necropolis of France”. The fate of King Louis XVI and his wife Marie Antoinette of Austria is well known. Both were guillotined in the Place de la Concorde during the Revolution. 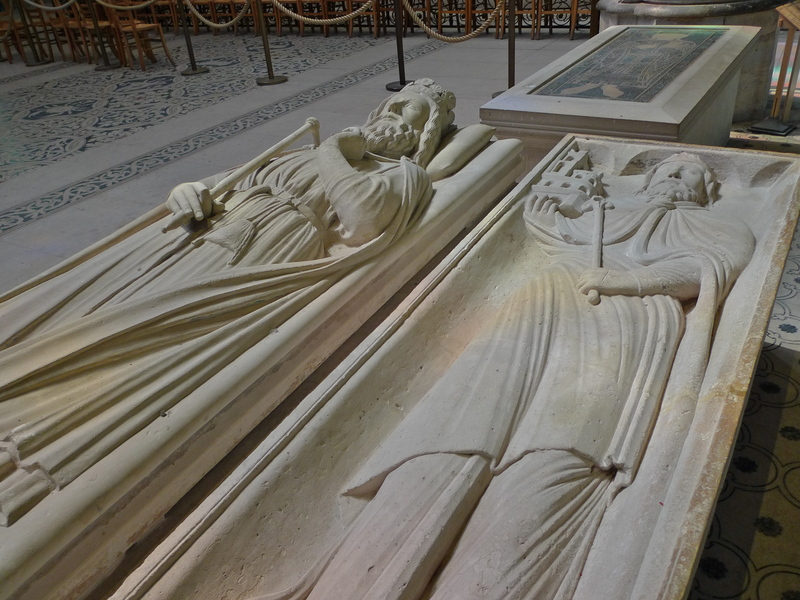 They were though not initially buried in the Basilique Saint-Denis, but rather in the churchyard of the Madeleine, where they were covered with quicklime. 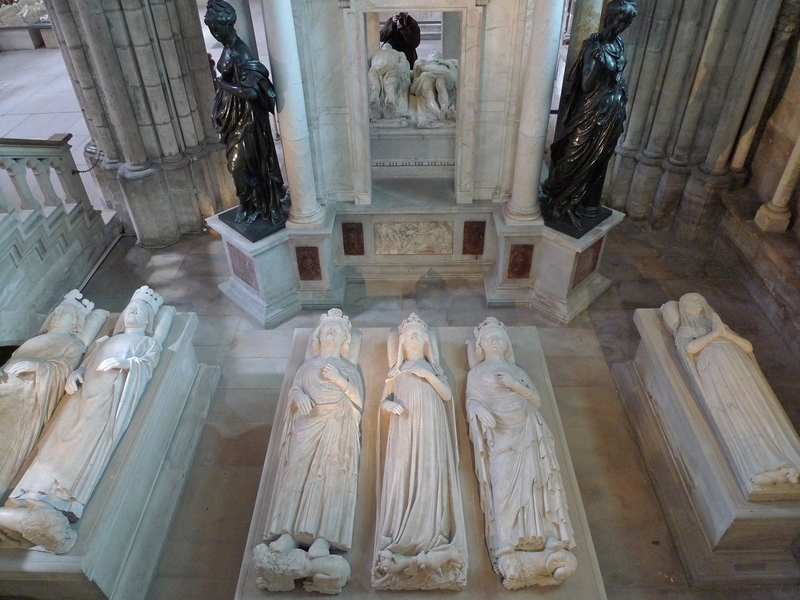 Louis XVIII, the last king of France to be buried in the Basilique Saint-Denis, ordered that the remains of Louis XVI and Marie-Antoinette be transferred from the Madeleine cemetery and today they lie side by side in the crypt of the Basilique Saint-Denis.